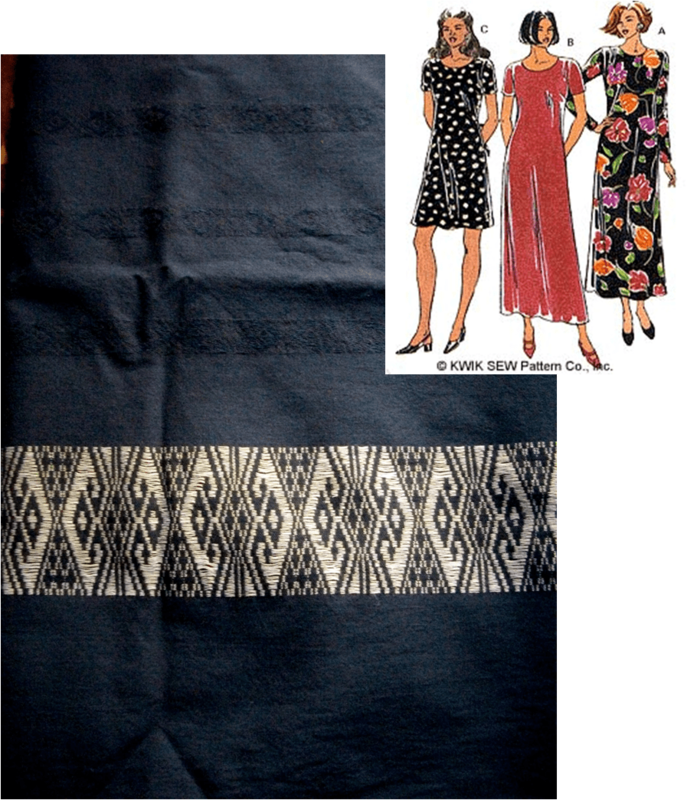 I’m using Kwik Sew 2627, which is a free pattern for a simple woven dress. I’m making view C – the short version – out of this navy cotton. (Yes, it’s another Thai cotton) It has a really nice self stripe and then a great silver border around the bottom. I think the simple design will work to show off the fabric. 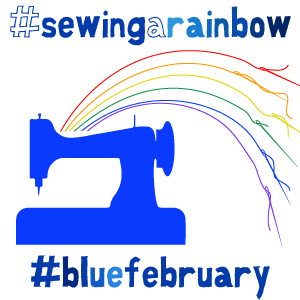 And of course, it’s navy and the sewcialists theme this month is blue February so that works out well too. The fabric is just lovely. I love the navy and the border. Look forward to seeing the finished item. Thanks very much. It is lovely fabric, isn't it? Now we just have to hope that I don't muck it up! I am well on the sewing tip. Plans were made before Feb. As for having started the garment . . .wellllll. I decided to complete a WIP and make a vintagey apron since perhaps working on a WIP may be cheating, kinda sorta, LOL. I had to wash the WIP because it hit my floor a couple times and as it is ivory I could not stand the dirt on it. The apron will go together so quickly it ain't even funny. I have written out a list for March through April of what I am going to do for our MAGAM. I like the fabric you have chosen for this month, work it, girl. I am into longyi http://sewcroandquilt.wordpress.com/2014/02/11/making-a-longyi/ and this fabric looks perfect for one. Thanks very much. I like the fabric too and it (and many other Thai fabrics) would look perfect for a longi. Not surprising since traditionally they are made into pha nung or sinh which are not dissimilar to longi. But they aren't really my style. I too have a list for March and going forward a lot of which will be using these fabrics. Now I just have to get sewing.